Home Buyers Ask How Much Should I Offer? Main Line Pa Chester County Home Buyers Ask How Much Should I Offer? 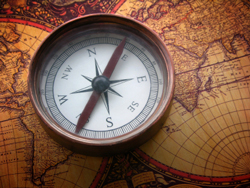 Real Estate Buyers and Real Estate Sellers need a strong compass to guide them through today’s real estate market to smooth sailing and a successful settlement day. Two questions a buyer should ask? Is the property priced right or priced too high? How did the Sellers price their home? Sellers may have listened to a real estate agent who over-valued the property in order to gain the listing. Commonly called “Buying the Listing”. It’s understandable that Sellers want the best price but it’s a common misunderstanding that a Realtor determines the price. The marketplace will always determine the price! Buyers, Sellers and professional Realtor’s® will factor all 4 Major Points on the Pricing Compass: Location, Condition, Pricing and Marketing. The location is a factor that must not be ignored in pricing. Of the 4 points on the compass, the Location is the only one that can not be changed. Realtors® have a professional responsibility to honestly advise Sellers about a listing price. But Sellers ultimately control the location, the condition and the listing price of their property. There are 3 Critical Factors to consider when evaluating a listing price prior to Home Buyers making an offer to purchase: Comparable Statistical Pricing Factors, the Psychology of Pricing Property and finally, the Art of Pricing Property. as a Realtor® and a real estate consultant, I help Buyers look at the recent “Sold” or comparable properties, no older than 6 months if possible, properties For Sale, and why expired/withdrawn properties didn’t sell. Comparable or “like/kind” properties where ALL or most of the features are the same, adjusting for minor differences. A common question Buyers ask me when I’m their Buyer Agent, is how much should I offer? For many Sellers Price is only one of the terms of the offer to purchase. The settlement date or other contingencies and Buyer’s financing terms may be more important. In general, a property that sells within 95% of the asking price, is considered well priced, however, in our transition market, each property and market place is unique. It may be that the best offer is a full price offer, but only IF the property has been priced right. If the property hasn’t been priced right, it may be that a 90% of asking price offer or less is an excellent offer for today’s market. The only way to be sure you have structured the most competitive offer to purchase price, is to consult with a Realtor® who will help you understand the real estate market today, answer all of your questions and more importantly, suggest some questions you might not have thought of, so that you make a good choice and a good investment for smooth sailing to a great move in day! Contact me or call, 610-889-5509 with ALL of your real estate questions. I can help you make the best real estate choices. This entry was posted on Wednesday, July 16th, 2008 at 5:36 am	and is filed under Chester County, Home Buyers. You can follow any responses to this entry through the RSS 2.0 feed. You can leave a response, or trackback from your own site.